Image resizing is an important and common function used by computer users. If the image file is huge, users will encounter problems such as the file taking a long time to upload, or consuming too much space and resources when users try to email, upload, or paste it in PowerPoint, etc. Users can easily reduce and resize the image in accordance to their need with most graphics editing applications such as Adobe PhotoShop, Corel Photo Paint, Microsoft Office Picture Manager and so on. 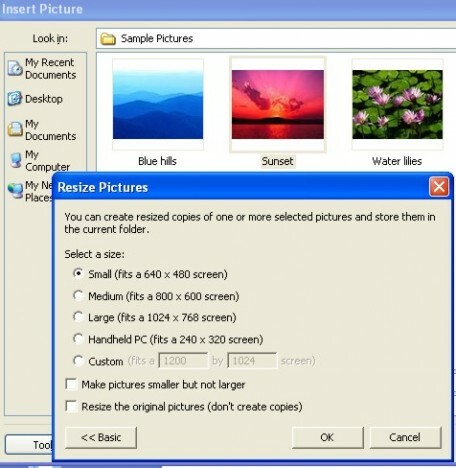 To resize a photo with one of these programs, users need to open the photo with the respective application; resize and save it before the photo’s size is reduced. This is not really a tedious process but if you prefer a more straightforward and quicker way, Image Resizer Powertoy Clone can be quite helpful. Image Resizer Powertoy Clone is a shell extension which allows users to resize images (one or more concurrently) with a simple right click. Users do not need to open the image in another window to reduce the size. 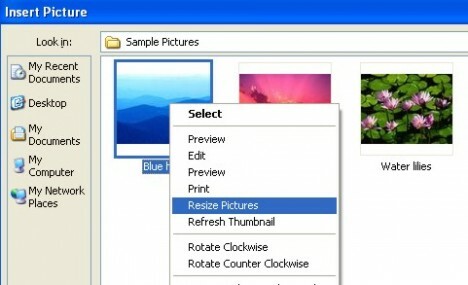 Once users install the program, a “Resize Picture” command will be added into your short cut key when you select images. For instance, you are working on a PowerPoint project and you need to insert an image into a slide. When you click Insert -> Photo, you will be prompted with a small Windows to browse for the image. Right click to the selected image and you will see the “Resize Picture” command in the shortcut for you to do resizing. Once users click on to the “Resize Picture”, users are allow to resize the images in accordance to their needs. There are a few default sizes for users to choose from: small (640 x 480 pixels), medium (800 x 600 pixels), large (1024 x 768 pixels) and Handheld PC (240 x 320 pixels). Other than that, users also can customize their own preferred size by entering the resolution. A duplicate but resized image will be created. 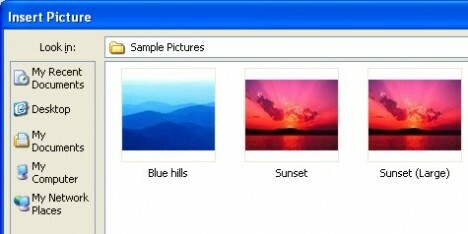 In this case, users can see another image with the file name Sunset(Large) created. Technically Image Resizer Powertoy Clone is a rebuild version of the Image Resizer Powrtoy. This app previous version is only 32-bit Windows XP. However, the improved latest version which can be downloaded via the link here will support both Windows XP and Windows Vista (32-bit and 64-bit). With Image Resizer Powertoy Clone, users could save a lot of time and speed up the resizing process.